When Andrew returns home, now a wealthy, prosperous man, Amy’s whole world is in turmoil. Because of his rejection in the past, how can Amy trust this man who proposes to settle down in the small town he walked away from years ago? Amy has no doubt that he will soon long to be back in the bustling world he has become accustomed to in the city, and is determined to keep her head and not let her heart divulge its secrets this time around. This one is dedicated to all the women out there who dream of having a man like Jack in their lives—and to those who are blessed by having one. 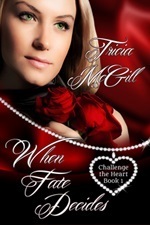 Previously published as Shrinking Violet, this book was a finalist in the Romance Writers of Australia’s Romantic Book of The Year in 2006. Lani Moore has led a sheltered life, cared for by her strict elderly aunt and uncle. On their death Lani inherits a considerable fortune. To get away from the man after that fortune Lani flees Sydney for Victoria, where she opens a boutique in a suburban shopping mall. When she seeks a property on which to keep her beloved horse, she enlists the help of local property agent Ryan Bachus. Entranced by his two children, hoodwinked into taking a small flat in his house, she revels in the charm of sharing life with a close-knit family, something her lonely heart has never known. 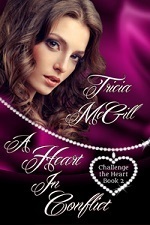 But lies and deceit interfere and her new found happiness is shattered. What happens when two people who are both of the same mind—this being to steer well clear of emotional entanglements—are struck down by instant attraction. Kate last met Liam when she was bridesmaid at her sister’s wedding. 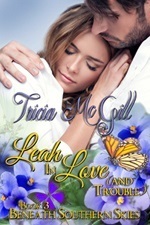 A gangly, uncertain fourteen year old, going through the painful problems associated with growing up, she took an instant dislike to Liam, who made fun of her. When her recently widowed sister talks her into reluctantly accompanying her to her brother-in-law’s home, which was built by its owner, architect Liam, Kate falls in love with the house and, unfortunately for her, finds that she soon has corresponding feelings for the man who owns it. Meanwhile, Liam cannot believe that the tall, insecure teenager he met at his brother’s wedding years ago has blossomed into this beautiful, talented woman. His inbuilt antennae that had served him well, stood every chance of being annihilated if he didn’t watch out. Sam fell in love with Mac at first sight when she was still a child and he a teenage boy, almost but not quite a man. A special bond formed between them, fuelled by their mutual love of animals—especially horses. As each matured, that bond threatened to move beyond the limits of friendship. By the time Sam reached her 17th birthday she was desperately in love with him, her shining hero. 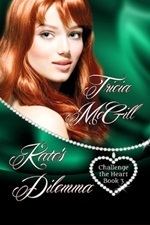 But one awful night Mac betrayed that love and Sam was unable to find it in her heart to forgive him. 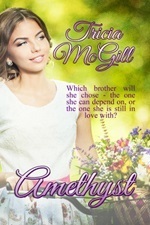 By the time the truth was revealed they had both moved on with their lives, and Sam’s pride prevented her from forgiving Mac; threatened to ensure her a lonely future.